New York is served by three different airports, and EWR (Newark Liberty International Airport) is the second largest. If you're flying into EWR there are three options to get into New York City including, train, bus, and taxi cab. Most people opt for the train because it's fairly quick and cost effective, however if you travel with a ton of luggage you may want to opt for a bus or taxi. Here's a quick guide on your three options from JFK into New York City, along with prices for each and trip duration. EWR is connected to NJ Transit, PATH, and Amtrack and you can catch all of the trains at the Newark Liberty International Airport Station. To get there, board the Airtrain Newark which runs every 3 minutes from 5am to midnight, and every 15 minutes after that. The trip takes between 7 and 11 minutes, and costs US$5.50. 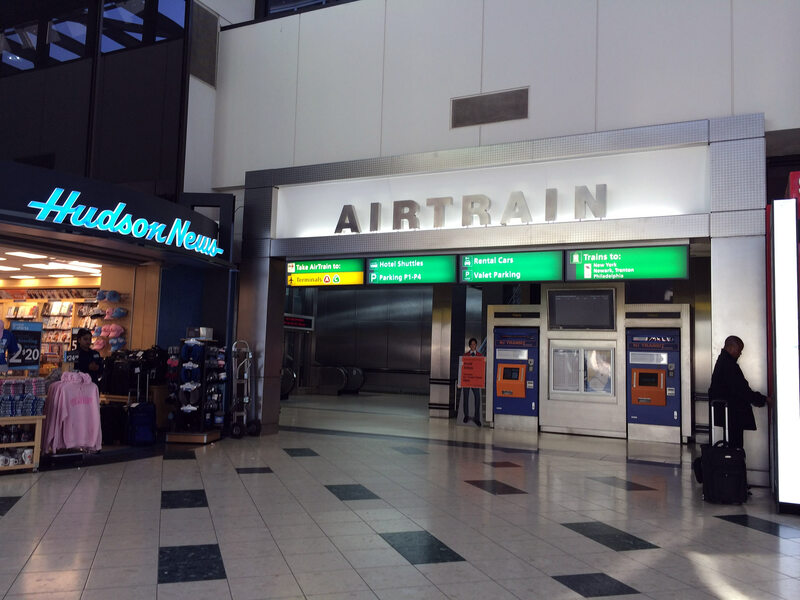 Insider Tip: To save a few bucks you can purchase your Airtrain Newark ticket bundled with your NJ Transit train ticket! This is your best option for getting into Manhattan, and takes about 20 minutes dropping you off at New York Penn Station (not to be confused with Newark Penn Station which is called first). The train runs every day, at least 6 times an hour, with the exception of 2am-5am, when there is no service. The cost is US$12.50 (and includes the cost of your Airtrain ticket). Just purchase your ticket from a NJ Transit machine at the airport and hang on to the stub for the conductor to punch on the NJ Transit train. The Port Authority runs it’s own train called the PATH, which will take you to World Trade Center (WTC), in about 40 minutes. Cost is $2.50 + the cost of the Airtrain, and tickets can be purchased from the PATH machine. The fastest option is the Amtrack train from EWR to New York Penn, but it’s also the most expensive. Most Northeast Regional trains like the 88, 140, or the 152 have stops at Penn on their way to other parts of the the tri-state area. Tickets can be purchased online, or at Amtrack machines at the airport, and cost between US$33 to US$75, depending on class, fare, and capacity. While the extra 8 minutes over the PATH isn’t worth the exponential increase in price to most people, free wifi and a quiet compartment might be worth it to some. There are a number of commuter buses that leave from downtown to the EWR, however they are usually more expensive than the subway and not any more convenient. Most run around US$16, with various departure points around the city. Outside of each terminal is a taxi stand, where you can catch a ride into the city. Unfortunately there's no flat rate to Manhattan, but metered fares run between US$50 - $75. The rate includes up to four people, and any luggage 24" and smaller. The ride generally takes 40 minutes, but could be over an hour in rush hour traffic.